I can't believe we are now in 2019. Where did the time go?! 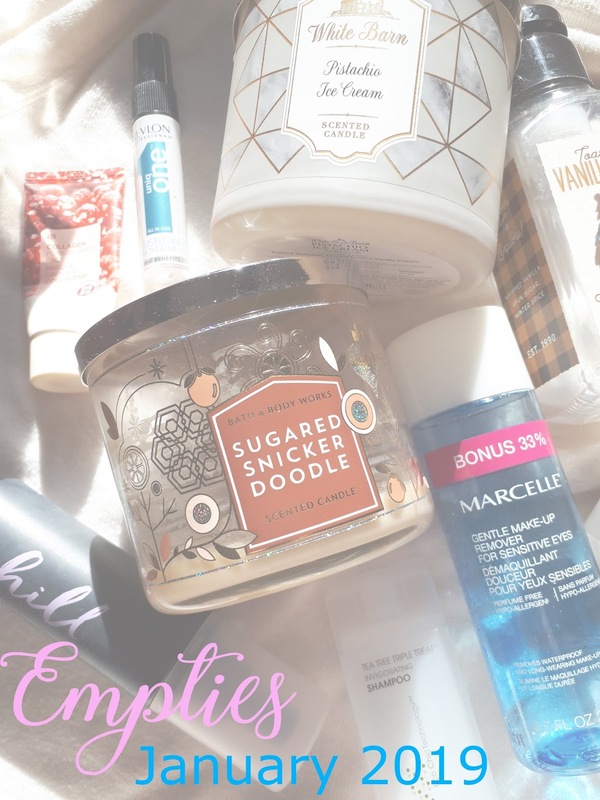 Anyway, as we all know by this point, empties are my favourite kind of post. Let's see what I used up for January 2019! I can already tell that I didn't use up as many products as I would have liked, but I'm hoping 2019 will be a great year for panning items. I actually purchased this full size version first, and I really enjoyed it. It didn't have much of a scent in the original red bottle. 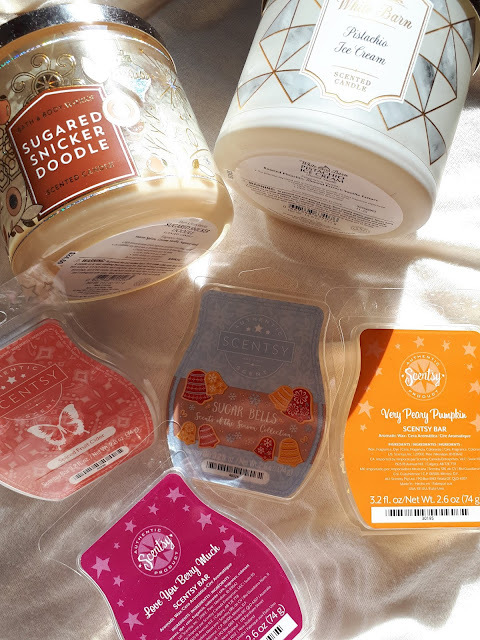 The sample size came in a Topbox recently, and I didn't enjoy the scent as much.. but I really liked these. They help detangle my hair, and it's supposed to protect against heat. I liked it so much I repurchased it in the coconut scent. I really enjoyed these. They really made my scalp feel nice and clean, and had a refreshing feeling. I'd consider repurchasing the shampoo to get a nice deep clean on my scalp. The conditioner was nice too, but I feel the shampoo was a little better. This was a hybrid of a gel and cream, and was really light weight. I didn't find it hydrating enough for my dry skin, and I really hated the packaging. It has one of those airless pumps, but the cream would get stuck or it would only release on one side. It was weird. Smacking it, and opening it didn't help either. I wouldn't repurchase based on that alone because it was really annoying, but I also felt it didn't do anything for my skin. This is one of those makeup removers that are oil and water? And you shake it to mix it. It was a great eye makeup remover, I actually got this years ago for half price at superstore, so it definitely was worth the price. I've already repurchased a new one. I really loved this stuff. The balm was a little softer then the Clinique version, but it worked so well. I've already repurchased a larger size. Such an awesome cleanser. It's so gentle on the skin, and smells like cucumbers. I've already repurchased. I used this as the final step in my skincare routine at night. I didn't find it did much for me, so I wouldn't repurchase it. 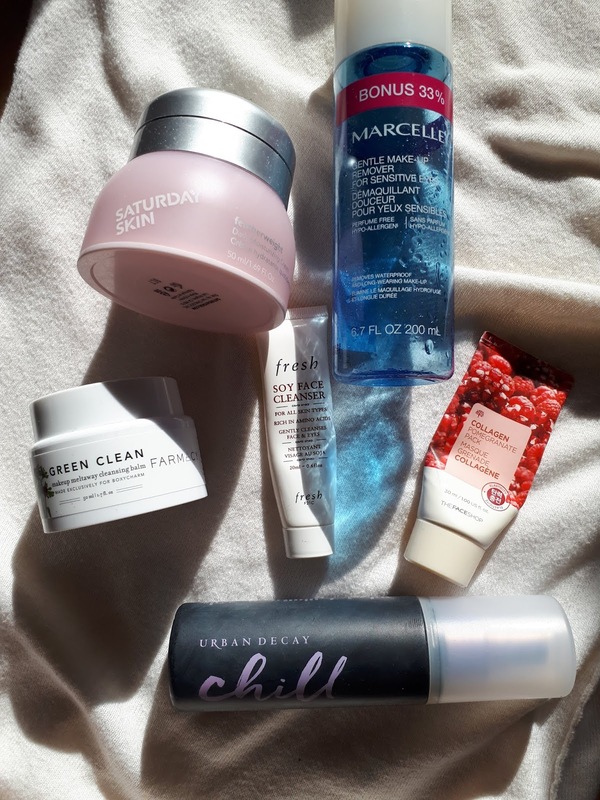 I prefer skincare that is thicker and more rich feeling. This stuff was great for helping cake face, and when my skin was feeling especially dry. I didn't really find it prolonged my makeup time, but I wear makeup for about 12 hours a day, so nothing will help I think with that length of time. Anyway, I enjoyed it and may repurchase again. You'll see these every month lol. I love these foaming hand soaps and have a large stash to use up. This smelled like cinnamon and vanilla, perfect for this cold weather. I enjoy the shower gels from Lush, I just wish they weren't so expensive. This scent was just okay, it was very floral (no duh, it's called ROSE jam) and I'm not a big fan of florals. I liked the shower gel, I just prefer it in different scents. 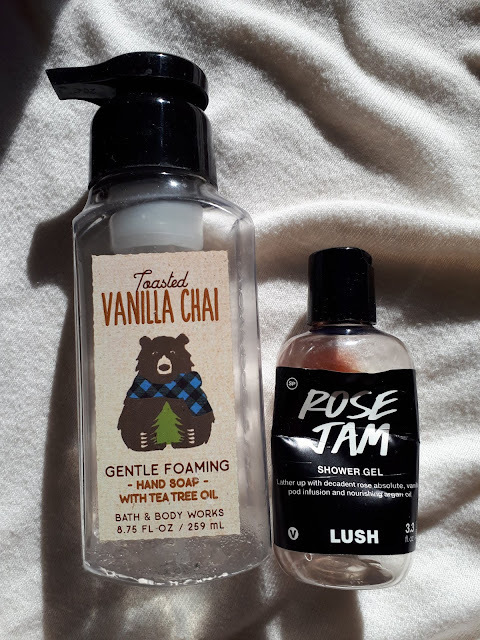 These were both nice scents. I'd classify them as both bakery type scents. I didn't hate them, I wouldn't say I loved them either. I'd enjoy them again but I wouldn't necessarily rush out and repurchase them. Also, how can I use up the rest of the wax?! I find theres always a bunch of wax that doesn't get used up and it feels like such a waste to toss them. These are all enjoyable scents. All fruity, but deeper. Perfect for Fall and Winter. 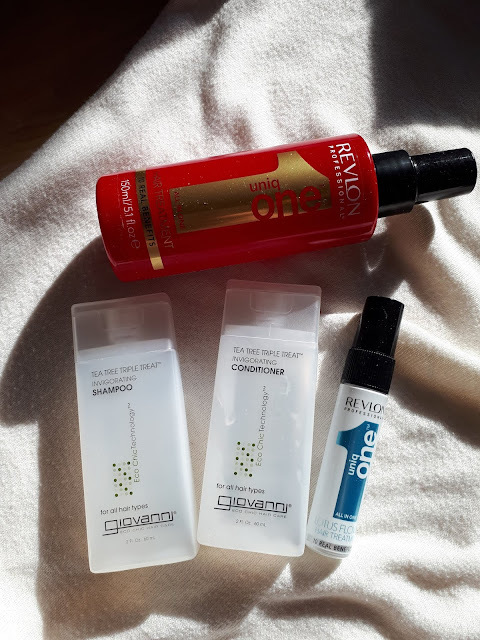 So this month I only managed to use up 18 products. I hope February will be better!